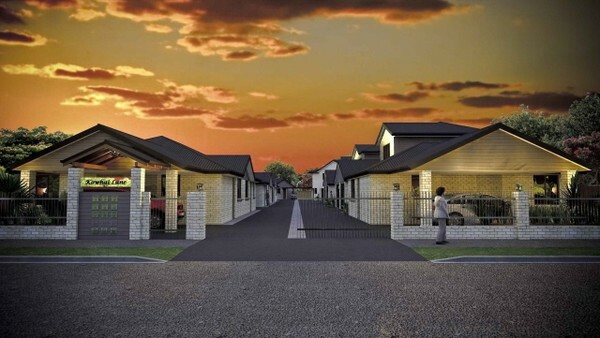 FOR SALE: Brand new 2 Bedroom Townhouses, two storey with single garage for just $305,000 (current RV), only 3 two storey houses available no.3, 11 & 12. New Residential Development in 232-234 Killarney Road, Hamilton (Off The Plans) – 15 x 2 Bedroom Townhouses (7 x 2 Bedrooms, single storey with carports; 2 x 2 Bedrooms, single storey with garages; 6 x 2 Bedrooms, two storey with garages, plus 2nd (guest) toilet downstairs). All houses will be built with a combination of brick and Linea cladding and long run roofing. They will feature stainless steel ovens, hobs, rangehoods and dishwashers. Houses with garages will have garage door openers with remotes. The development will also feature an electric security gate to the front entrance with remote control access. The development will be professionally landscaped to complete the ‘gated community’ feel and include exterior lighting. THE RETURN: This property may prove a financial success in a number of ways. Aside from the weekly rental, this investment will provide a vehicle in which to reduce your income tax. Being new build, with a high building to land value ratio, this property will maximise the depreciation you can claim. Over time, you can expect the rental income to increase, which together with the capital gain will create a profitable retirement vehicle. RENTAL ESTIMATE: NZ$330-350 pw DEPOSIT: 10% deposit per house on the agreement going unconditional. The deposit will be held in vendors solicitors trust account until settlement, which occurs 5 days after the title and code of compliance have been issued. CONSTRUCTION TIME: The construction started in June with completion in February 2010.